Map looks realy good, bout gameplay I cannot say anything now, coz I first have to download it Remembers me to ctf_Shadowlight because of the Pit, but otherwise it is selfcontained (particiuarly Texture and Paths). The map might look pretty basic on first look. But at game it's very tactical and improvisative. What I found at our maptest, the player who spawns middle takes usually the middle route and the top spawn player takes top or bottom. That bridge next to flag works great, it's the key to all tactics. This map could be an example how much difference u can do by using bridges. Polygon work is nice, good multitexture, some of the big sceneries at background could be more transparent. This map looks like a great idea overall. Within my, Haste's and Vinteek suggestions, skilled mapper Puure created a remake! - Polygons rework for smoother movement. - Scenery rework for aesthetics enhancement. - Change of spawns, medkits, nadekits locations. - Added 8 colliders for nade boosts. - Pit is no longer a free fall to create more competitive environment. 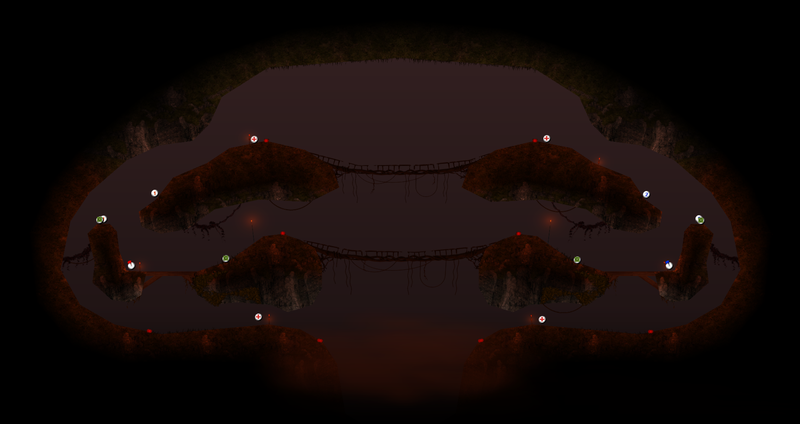 - Fixed bridges scenery hiding player. - Moved crucial scenery from Back to Front. For the record: I did ask zakath for permission to edit it, and he said it's fine. Just 3 words : epic & playable map!